Zingy means keeping things buzzing and new. Social media marketing or digital marketing is something that is continuously evolving. There will be new changes and adaptations to the channels and this means that you need to keep your eyes and ears open. Staying on top of these changes will help you device new ways of reaching your customers and identifying new ways to understand them better. Being connected is the new basic need of the current generation. As the world becomes smaller because of social media and internet the businesses are getting exposure to a wider audience. Every business today can dream about reaching a world-wide audience. What they now need is a perfect way to harness the power of this incredible tool called Internet. Various ways to harness these tools are either social media, paid marketing, content marketing, allied collaborations etc. As the tools evolve so will the ways to harness its power! This is where continuous research and keeping an eye out for new ways of utilizing the tools at hand will come to fore. Don’t be scared about trying something new. While not all marketing methods will reach the same results, there will be a lot to learn, in terms of what to do and what not to do. These learnings will help in future promotions and results. Don’t do something just because everyone is doing it. See if it will work for your brand. If being on Linkedin works well for your brand than being on Facebook, then go ahead and be there. Just as not all businesses are the same, the tools that work for them will also change. Don’t miss out on doing something because nobody else is doing it. Implement disciplined experimentation as that will help you try new things, with certain goals. It will help you stay on track and ditch things that are not working. While you learn with disciplined experimentation, you also need to regularly asses the results and learning’s from it. Making changes based on the learnings and improving or trying other paths based on those reasoning’s will give you clarity of what you wish to achieve and how it needs to be done in future. Keep your ears to the ground as that will help you access the audience mood, feedback and take quick and corrective actions. This will also build better customer relations and understand your brand sentiment. As a small business your branding and customer opinion about your brand is precious. Keeping an eye on it and working towards improving it will help us gain a lot in the long run. You need to keep bringing in something new, to engage your customers. You can do this by changing the way your website looks, the creatives, the packaging or communication tone etc. These are subtle changes but they will keep the consumer excited. Similarly you can also add some contests, giveaways and themed communication to have a closer connect with your audience. You could also expand your offerings, re-purpose content that will help your audience know that you are the knowledge authority in your field. 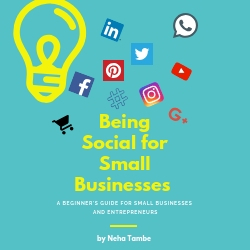 Many, bracket social media marketing and digital marketing as something where you create impressive posts and share across networks, however the whole gamut is much more than that and knowing the details of it will help you decide when you think your brand is ready to be there. I totally agree to this. 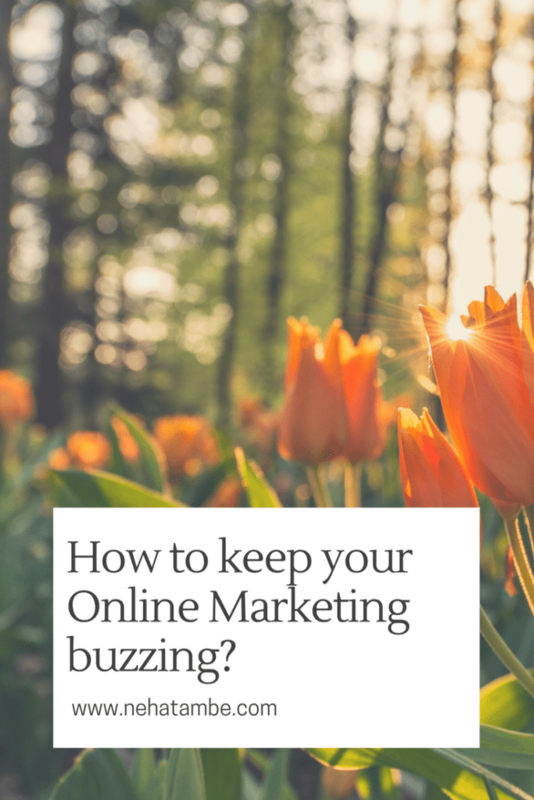 What really needs to be maintained very importantly for online marketing is the relationships of marketers to its audiences. Marketers need to know what their audiences’ wants and needs. Anyways, great points you have there, Neha. Thanks for sharing this 🙂 Cheers! Informative post , agree with you we need to bring something new and interesting for our readers . indeed great post and in today’s competitive world it is very important to be unique and share something different with your readers to keep them engaged.